A debt settlement letter is a letter written by the debtor to their creditor (the person they owe money to) with the intent of negotiating either the amount of debt owed, the interest rate, the amount of time remaining to pay the debt back, or all of the above. This is an important tool for anyone trying to settle or reduce a debt. 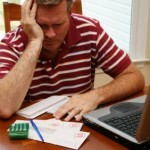 There is some standard information that should be included in all debt settlement letters. Obviously, your name, address, and the date that the letter is being composed should be on the top of the letter. This should be followed with the name and address of the debtor, along with the account number associated with this debt. If you have worked with a specific person that you have found to be helpful, you should address the letter to them. 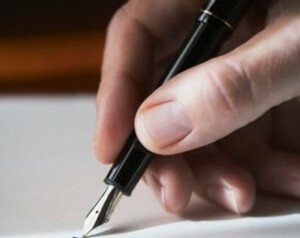 In the body of the letter, you should give a brief overview of why you are writing the letter. Explain your situation concisely and truthfully. You should also include a summary of your current account situation and how you are working to improve it. You should then follow it with the settlement that you are proposing. This should be as detailed as possible. Give exact amounts you will pay, dates that you will pay it, and any terms you may have. Be sure to address things like changes to your credit report. You will also want to request some form of proof that they agree with your terms, such as having them sign the letter and return it or send you a letter agreeing. This will provide you with protection should the creditor attempt to collect more than the agreed upon amount at a later date. While composing your letter, be sure to be polite and professional. Being antagonistic will not help your case. You should also be aware of what your legal rights are before you compose or send your letter. The more knowledge you have, the better prepared you can be. Also, be sure to save any correspondence that you may receive from the creditor as it may become important later. You should also follow up with the credit bureau to make sure any corrections that have been agreed upon have been made.